Here are some of our favourite tools and toys that we use to teach children to be independent and autonomous eaters. These are available for purchase both online and in the clinic. When you are ready to place an order, just head to the bottom of the page to fill in an order form! The Doidy Cup is a uniquely slanted cup which assists in teaching babies to transition from a bottle/breast to an open cup. The slanted angle means the baby’s nose/face is not obscured by the opening of the cup – making it easier to breath and less threatening. It also allows a more natural movement of the arms and hands to lift the cup rather than forward/backward movement of the head when using bottles and sippy cups. 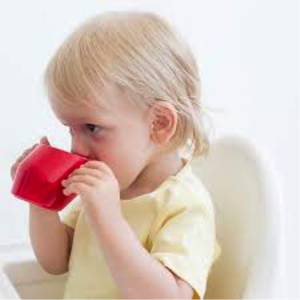 The fluid is clearly visible when drinking and children are less likely to over feed as they can’t use the cup as a pacifier. 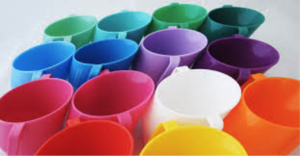 Doidy cups can be used by children from 3 months of age (as well as the elderly and disabled) and are sterilizer, freezer and dishwasher proof (top rack). 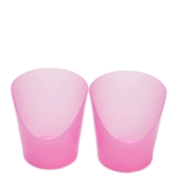 With a 200mL capacity, Doidy cups are made from food safe HDPE and do not contain Bisphenol, Phthalates or PVC and conform to EN14350 regulations. 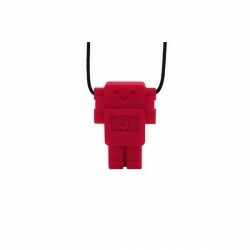 They are available in a range of colours. 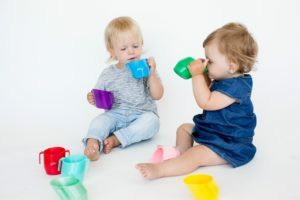 For our youngest learners, we recommend the Pink Flexi cup which allows a gentle ‘squeeze’ to change the shape of the cup lip, the ‘cut out’ design promotes drinking without neck extension, whilst still being able to see the liquid in the cup. The Flexi Cup is made in the USA of flexible plastic (FDA approved Polyethylene and contain no latex, lead, BPA or phthalates) and is top rack dishwasher safe. This revolutionary spoon allows babies and children to learn to swallow food from the spoon, with the spoon remaining in the mouth. We know that if a loaded spoon is removed from the mouth without the help of the lips or tongue, food will end up everywhere. However it’s impossible to swallow with a hard spoon in your mouth. In order to do so, the food needs to slide off the spoon suing your lips whilst still keeping the food in your mouth. Exact control of the lip muscles is necessary in order to do this successfully. The Flexy Spoon allows a baby who’s learning to eat or child with swallowing difficulties (dysphagia) to learn to do this by swallowing with the spoon in their mouth. When swallowing, the tongue presses the spoon against the hard palate. The concave spoon is turned up and changes to fit the curvature of the palate. The food is pressed out of the sides and into the mouth. The tongue is so close to the palate that the swallowing reflex can be triggered. 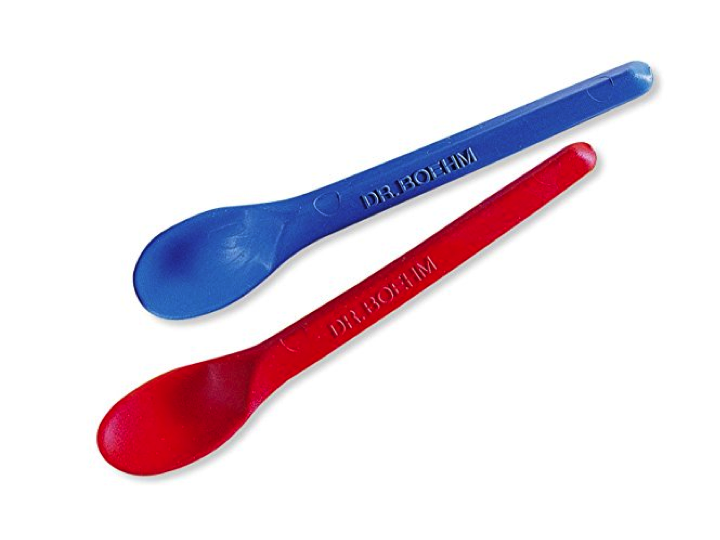 These spoons are dishwasher safe, can be sterilized and spoon materials conform to international standards (EEC & FDA). Beautifully angled handle to help small hands learn to hold the spoon properly. The deep spoon head helps balance those soft and sloppy foods so they stay on the spoon as your little one works to coordinate their hand with their mouth. Dishwasher safe and covered by a Lifetime warranty, these spoons are great for teaching self feeding skills. Strong enough to cut through raw fruits, vegetables and cooked meat, yet safe enough for even the youngest of chefs! 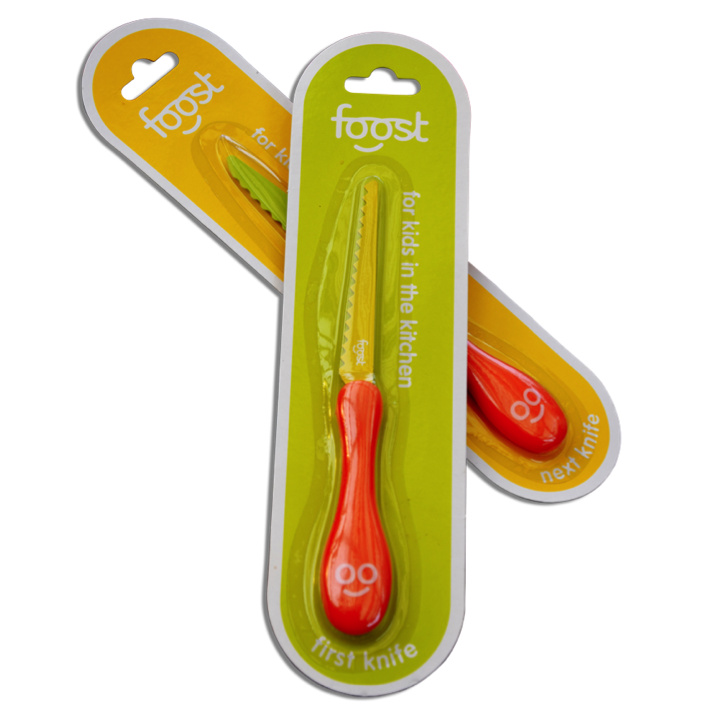 The Foost knives, available for children from 2 years of age, allow little ones the opportunity and experience to engage with a range of fresh ingredients that they may not otherwise eat. Used extensively in the Lively Eaters Cooking Groups, these knives are great value, Australian design, dishwasher safe and strong yet light weight. Beautifully weighed for little hands, the OXO Tot fork and spoon set helps little hands learn how to hold cutlery for effective self feeding. The deep spoon head means that soups and yoghurts stay on the spoon whilst your child works out how to get it to their mouth. The non-slip grip is effective even for the most exploratory of eaters! 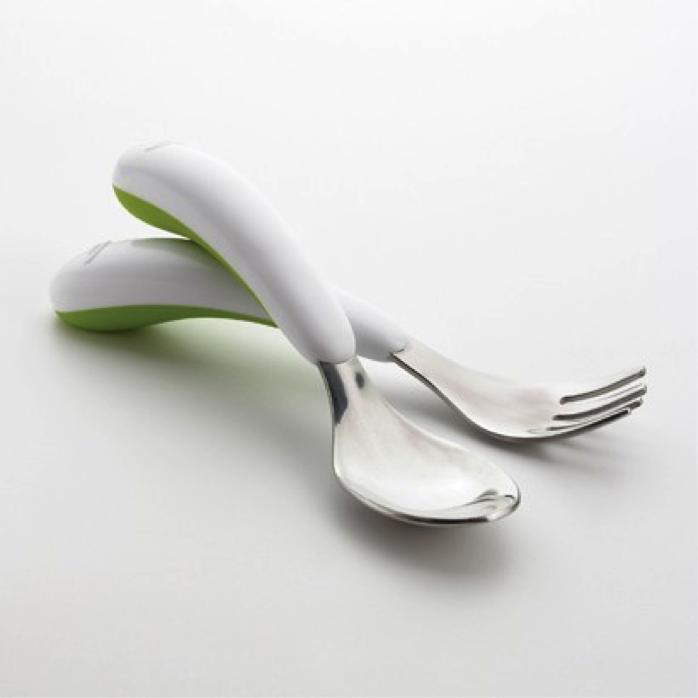 A flat spot on the handles prevents the fork and spoon from rolling off the table or high chair tray and the soft grips are shaped to keep them from sliding into bowls or plates. 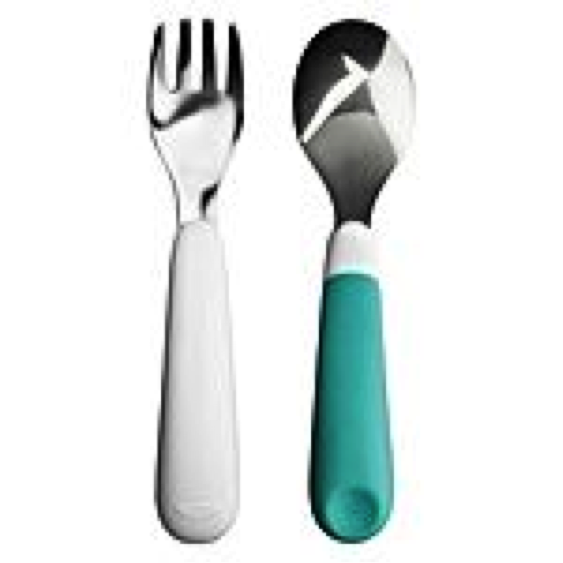 This durable stainless steel Fork and Spoon Set eases the transition to grown-up cutlery once your toddler/child is ‘too big’ for plastic table ware! 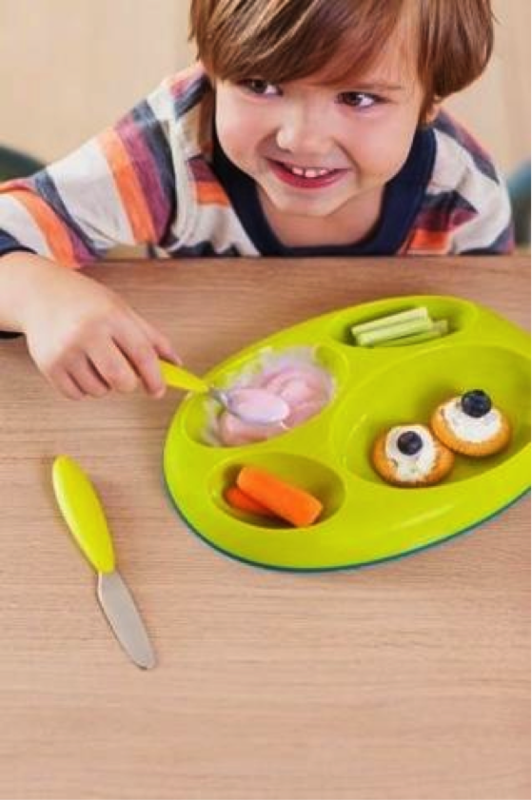 Divided plates help the fussy eater and picky toddler to a sense of control and choice in a meal without parents needed to ‘short order cook’ and constantly provide different options during a meal when one option is refused. They also help with children with sensory processing challenges who don’t like their foods ‘touching’. We love these Boon plates as the high lip allows children to spoon feed foods such as yoghurt, soup, custard, meat sauce as well as use their forks to self feeding. The non-slip base gives stability that the plate won’t slide across the table. 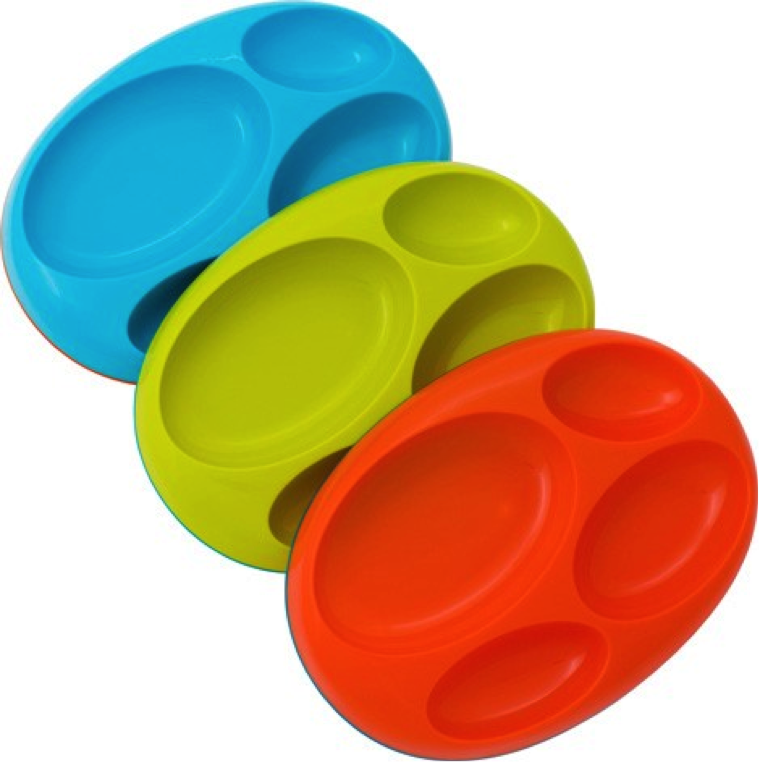 The plates are BPA, Phthalate and PVC free and are top rack dishwasher-safe. 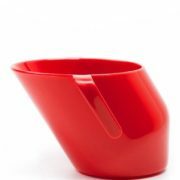 Conveniently sized with a unique contour, this bowl is designed to fit both the left and right hand comfortably. 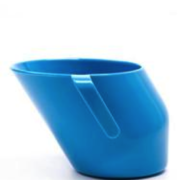 Created with ergonomic technology, the bowl can be held in a natural feeding position without causing unnecessary strain or spills. 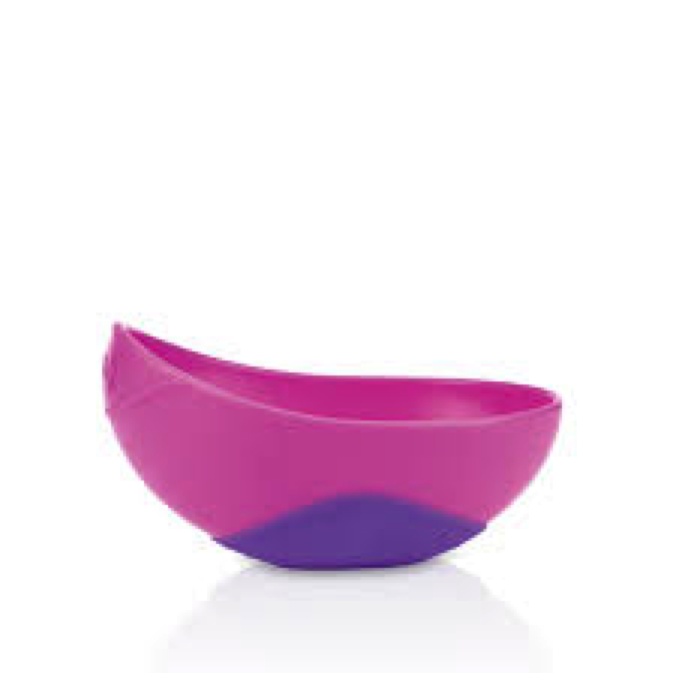 The Nuby Sure Grip Bowl is also conveniently sized and can be utilized with a variety of foods. 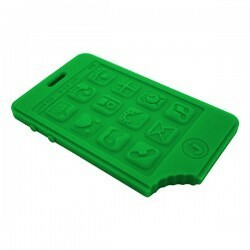 The break-resistant plastic ensures extended use without worry and the non-skid base on the is intended to be helpful when young children begin to learn to feed themselves. 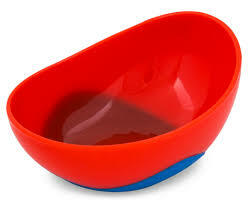 The bowl is just the right size and is made from polypropylene to ensure durability. 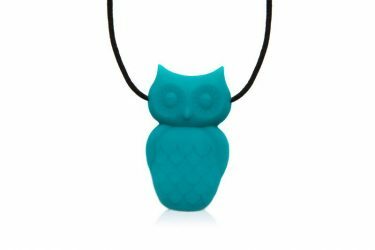 Jellystone Designs silicone necklaces not only look great, but are also a non-toxic alternative to regular jewellery and are a great outlet for oral compulsions. The custom designed clasp separates easily when tugged or snagged. 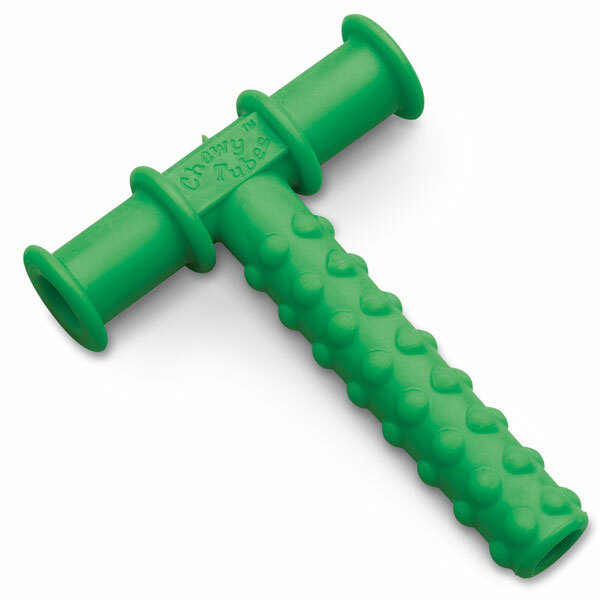 Chewy Tubes are innovative oral motor devices designed to provide a resilient, non-food, chewable surface for practicing biting and chewing skills. 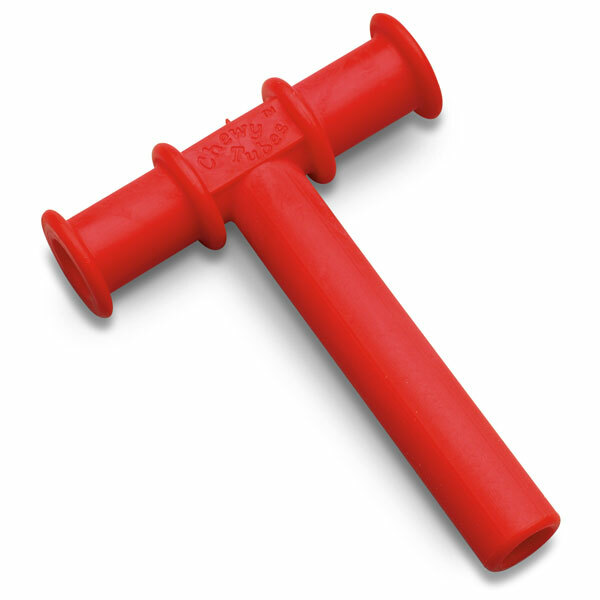 Chewy Tubes are latex-free and lead-free and they do not contain PVC or phthalates. 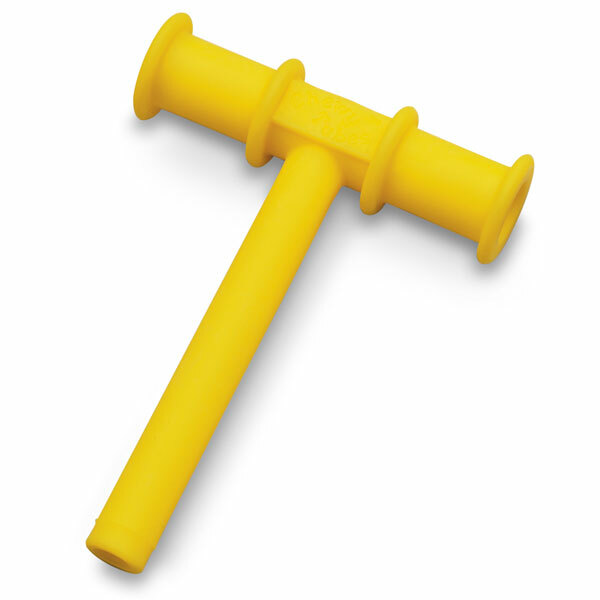 Therapists may select Chewy Tubes for use in treatment of individuals who are developing initial oral motor skills, or rehabilitating the jaw after surgery, trauma or stroke. NOTE: Chewy Tubes are not recommended for use with children under 7 months of age. Latex free and safe for chewing, this tubing allows you baby or older child to develop their jaw strength and chewing skills or provide sensory input from an easy beginner level of resistance to an extreme level of resistance. 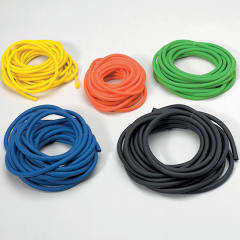 Available as a sample pack of 5 different resistance levels or individual strands of a specific resistance level. Ellyn is the authority of children’s eating challenges and a well-respected Feeding Therapist, Psychotherapist and Nutritionist. 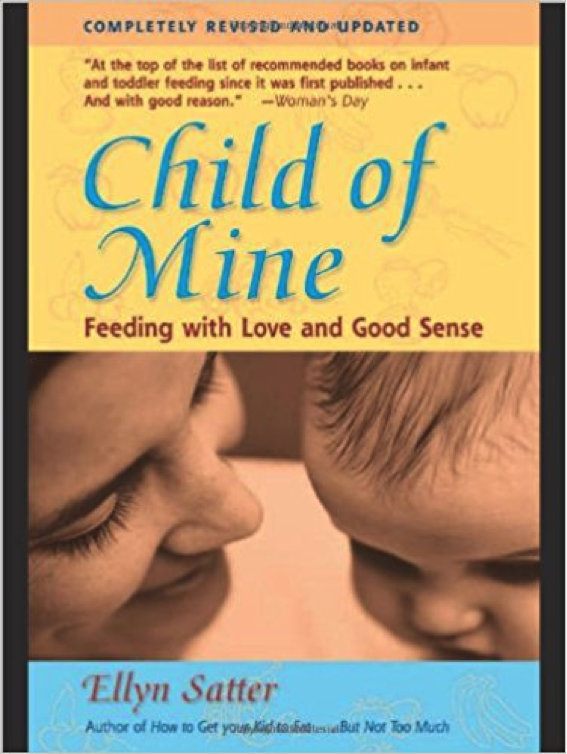 This revised edition offers practical advice that takes into account the most recent research into such topics as: emotional, cultural, and genetic aspects of eating; proper diet during pregnancy; breast-feeding versus; bottle-feeding; introducing solid food to an infant’s diet; feeding the preschooler; and avoiding mealtime battles. An appendix looks at a wide range of disorders including allergies, asthma, and hyperactivity, and how to teach a child who is reluctant to eat. The author also discusses the benefits and drawbacks of giving young children vitamins. Are you parenting a child with `extreme’ picky eating? Do you worry your child isn’t getting the nutrition he or she needs? Are you tired of fighting over food, suspect that what you’ve tried may be making things worse, but don’t know how to help? 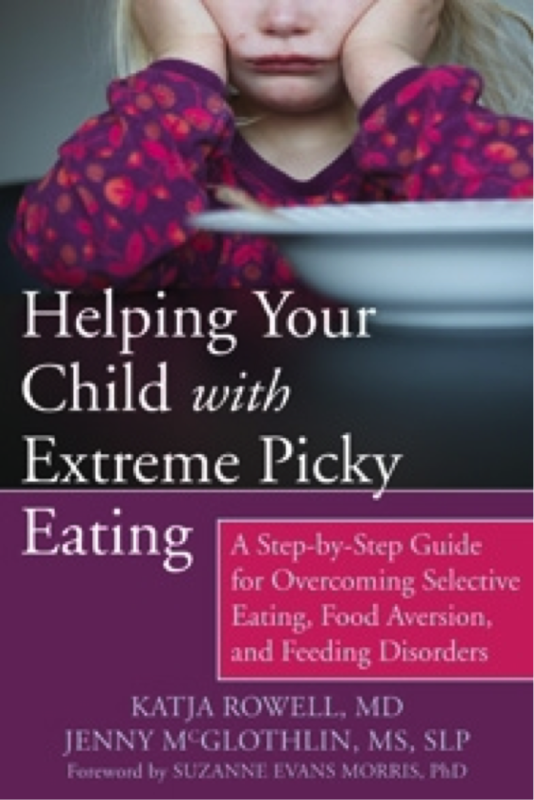 Having a child with `extreme’ picky eating is frustrating and sometimes scary. Children with feeding disorders, food aversions, or selective eating often experience anxiety around food, and the power struggles can negatively impact your relationship with your child. Children with extreme picky eating can also miss out on parties or camp because they can’t find “safe” foods. But you don’t have to choose between fighting over every bite and only serving a handful of safe foods for years on end. 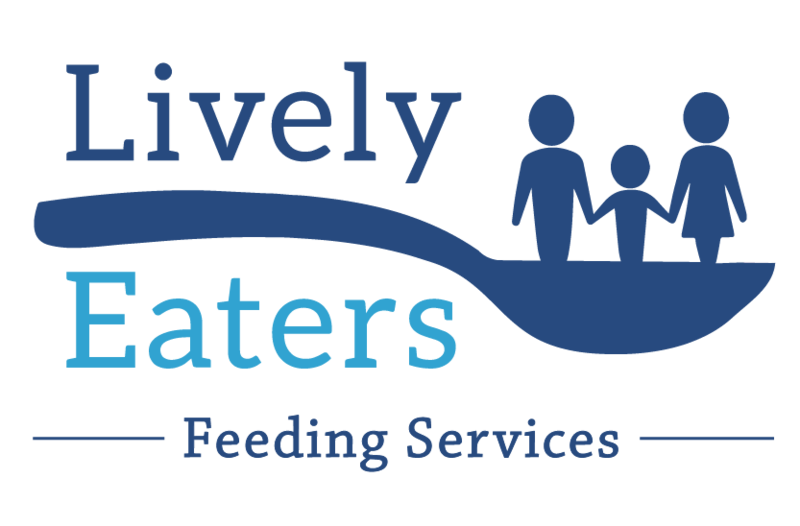 Helping Your Child with Extreme Picky Eating offers hope, even if your child has “failed” feeding therapies before. After gaining a foundation of understanding of your child’s challenges and the dynamics at play, you’ll be ready for the 5 steps (built around the clinically proven STEPS+ approach-Supportive Treatment of Eating in PartnershipS) that transform feeding and meals so your child can learn to enjoy a variety of foods in the right amounts for healthy growth. You’ll discover specific strategies for dealing with anxiety, low appetite, sensory challenges, autism spectrum-related feeding issues, oral motor delay, and medically-based feeding problems. Tips and exercises reinforce what you’ve learned, and dozens of “scripts” help you respond to your child in the heat of the moment, as well as to others in your child’s life (grandparents or your child’s teacher) as you help them support your family on this journey. This book will prove an invaluable guide to restore peace to your dinner table and help you raise a healthy eater. The Sensational Mealtimes book helps parents and caregivers like these, and many more, understand what they and their child are experiencing. Sensational Mealtimes explains that the sounds, smells, sights, types of touch, movement, temperatures, tastes and textures we avoid, are bothered by, tolerate, love and seek are based on our genetics, the sensory thresholds in our brain, our feelings and interactions, our surroundings and our previous experiences and memories. Parents and caregivers can use Sensational Mealtimes to help them continually tune in to and empathise with their child’s SENSORY experiences and feelings at mealtimes. Parents and caregivers will discover just right ways to meet their child’s unique SENSORY PREFERENCES for mealtimes and work toward nutritious food for the whole family. 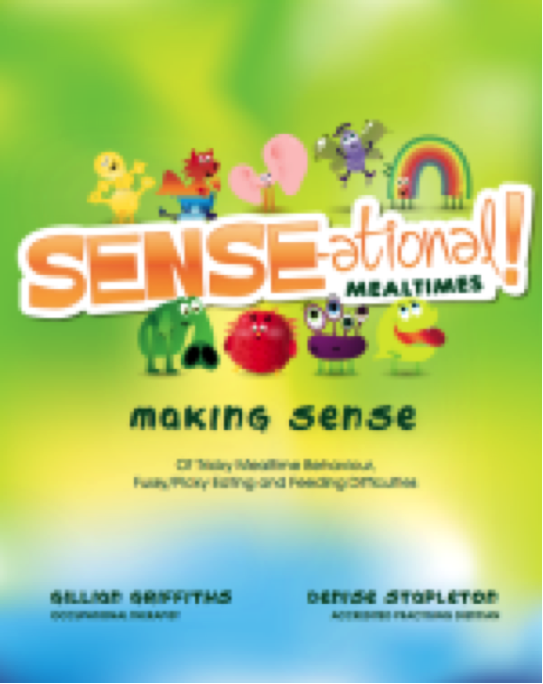 Written by 2 of Australia’s most passionate Feeding Therapists, Sensational Mealtimes will bring delight and pleasure to the most difficult of family mealtimes and the fussiest of eaters! Interested in purchasing any of the above items? *Once we receive your order request, we will be in contact to arrange payment details with you. In the meantime, please feel free to contact us should you have any questions!